We are glad to inform you that we have released new add-on: Power Reviews. The Power Reviews add-on allows showing latest reviews of your store in a separate block. Add-on has different settings. 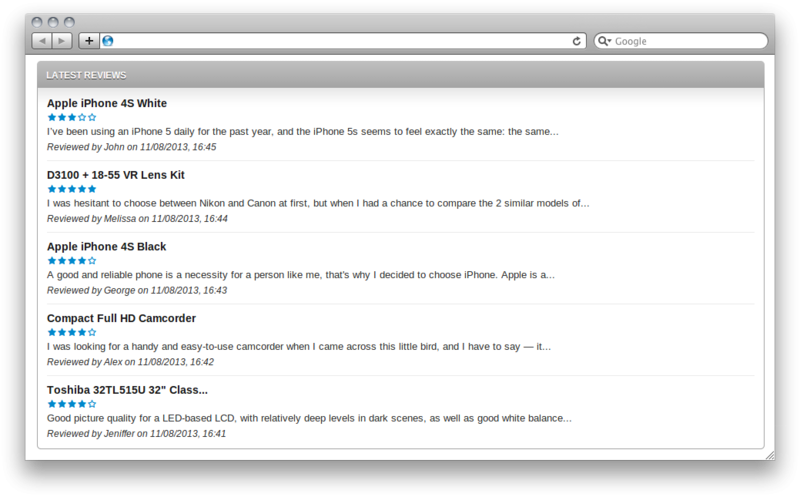 For example, you can display reviews not only horizontally, but also vertically. We announce the new release of our "Latest Reviews Block" add-on with the new name: "Power Reviews"! 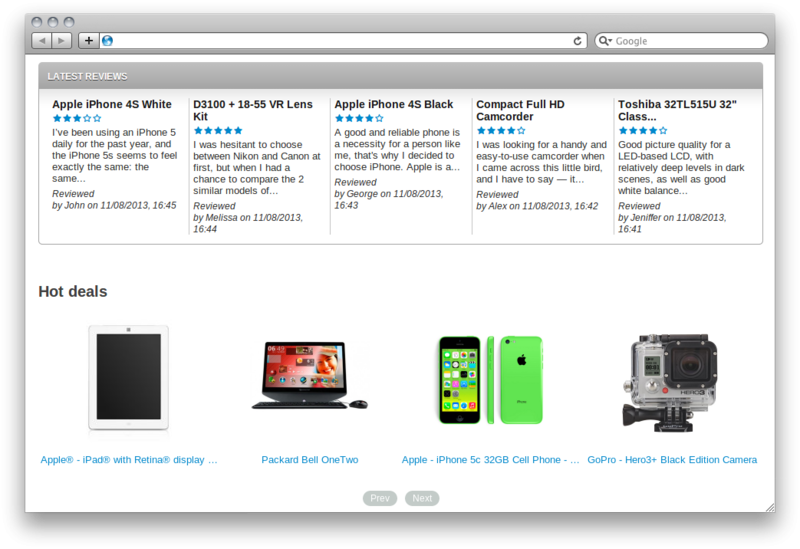 Positive reviews with rating stars left by real purchasers are the best way to ensure visitors about products quality. You only need to find a place to advantageously locate the block with these reviews for future customers to see them. CS-Cart "Power Reviews" add-on allows you to display reviews left on your store within slider or separate static block. The add-on includes fair amount of practical features to please you. If you might have any questions, please feel free to contact us any time. Lets say we are showing recent reviews on home page then customer can click on "more...." option and then it will bring all the reviews and we can use your addon again to show all the reviews on a separate page. We are working on the next version of the add-on. That will extend the functionality of existing add-on, will have lots of visual fixes and also have a separate page for reviews. When can we expect this release of your new addon? We are going to release it in a couple of weeks. The addiotional information will be placed. Glad to inform you about our new demo store based on CS-Cart 4.3.6 and PHP 7. I am planning to get this addon, and I am wondering if the feature that you said it will be release on next version to show All Reviews Page for products? We have added the opportunity to choose reviews only about specified product. It is possible to place the block with reviews about 1 product on the separate page. The link to this page should be organized manually. We are glad to inform you that the Power Reviews add-on has been successfully tested in new CS-Cart 4.3.8. We are glad to let you know that we enhanced the functionality of the Power Reviews. We have added the functionality of the released recently Comments and Reviews Enabler add-on. We are glad to present you the new version of our Power Reviews add-on. Now you can create the additional attributes for reviewing products or stores and adding images to the reviews. Moreover, using the add-on you can send the e-mail reminders about leaving the reviews about products. These e-mails have built-in form to send a review. More detailed description of the new add-ons features you can see on the official page. Are you planning to implement in Power Reviews add-on the possibility to send an unique promotion code for each customer that placed one review for each product bought? We did not plan to do it but we will think how it can be done. We will inform about new release of the add-on here. Does this work with "Vendor Reviews". Thanks. it look good when i get it on my gmail, but most of our business clients use outlook. another question: is there a way to customize the email template? Our developers are working on the issue and we plan to fix it in the next release of the add-on. You can change it as needed. Do not forget to clear the template cache ( via ?ctpl) while checking the modifications. The add-on does not allow to add attributes for the Vendor reviews, but the customers will be able to like/dislike the vendor reviews and also add pictures, if you set up it (the settings for the reviews will be similar to the settings of testimonials in your store).